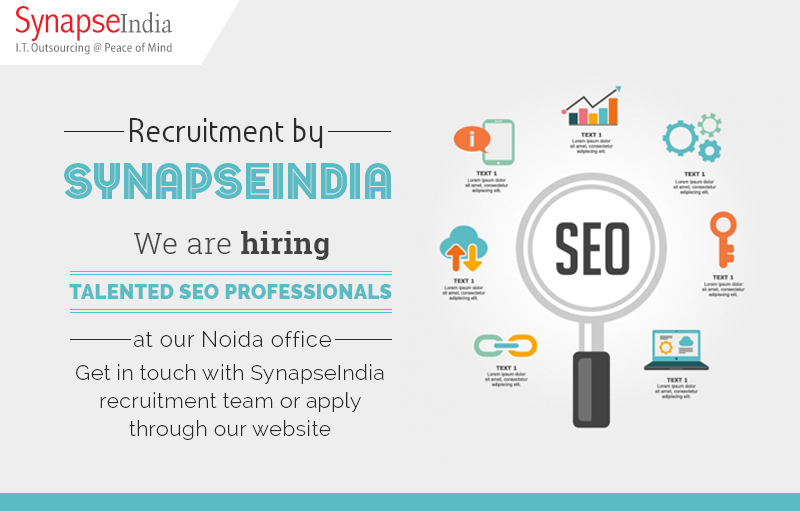 SynapseIndia recruitment team is hiring professionals with relevant experience in Search engine optimization/marketing profile for our Noida team. At SynapseIndia, premier IT & digital marketing services provider company in India, we provide effective SEO services to our clients globally in order to help their business succeed. We focus on increasing their business visibility in search engines like Google, Yahoo! Etc. and they can focus on honing your business and serving your customers. If you think that you could be a right fit and want to make a career with us, kindly share your updated CV with SynapseIndia recruitment team.